California has so much to offer, and Bakersfield has everything you could want at any stage of life. Bakersfield is in Kern County, California. Kern County is the heart of California and boasts a growing community of a variety of industries and recreational opportunities. 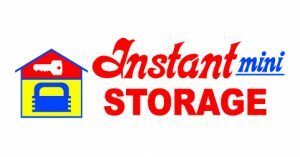 Instant Mini Storage has been providing the City of Bakersfield, CA storage for over 30 years. All our storage lockers are ground level, and you can drive up to them for easy access. Our tenants rave about our customer service, great prices, access, and convenience. We are located on State Road near Hwy 99 and Airport Exit. We are not far from Subs To Go, Boot Barn and Valero Supermarket. We are convenient storage if you live near Bakersfield. We accept Cash, check, MasterCard and Visa and offer flexible payment plans to meet the needs of all of our tenants. Instant Mini Storage looks forward to serving you!